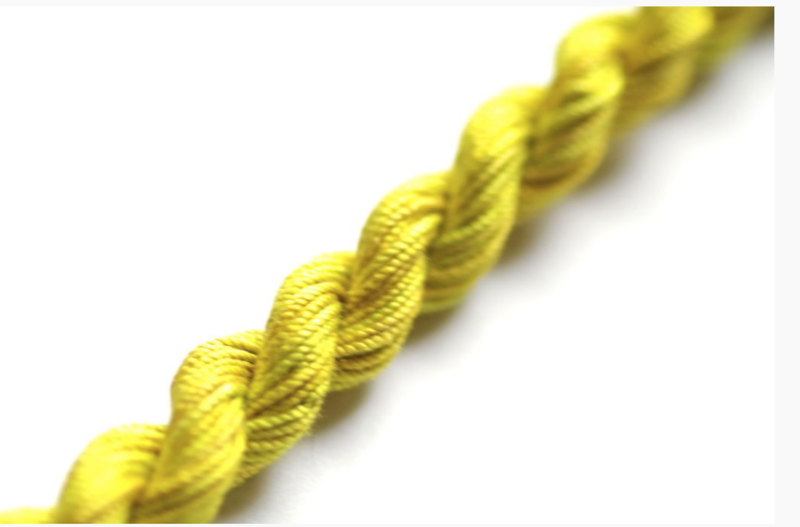 SP5 & SP10 lie between a #5 and a #8 pearl cotton in size. 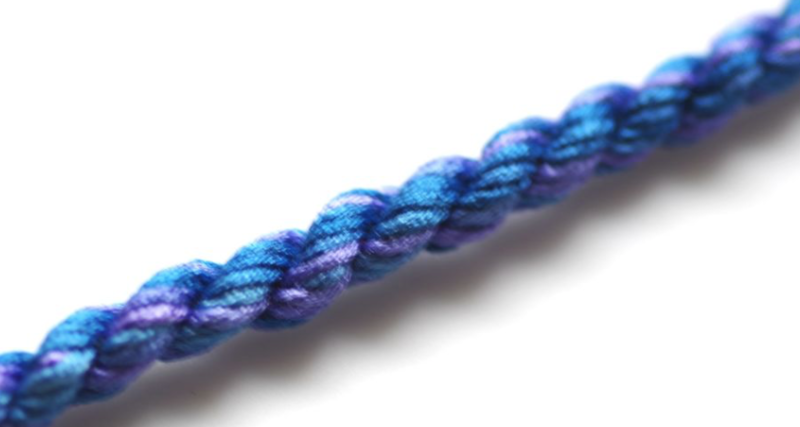 Needlepointers love it for specialty stitches. 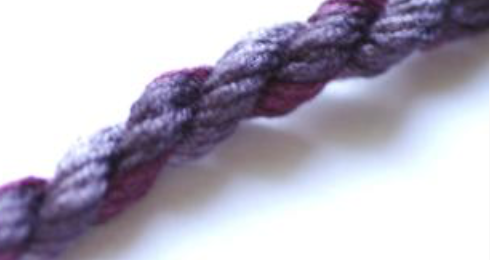 Many favor this fiber for use in wool applique embellishment, especially when creating bullion stitches. 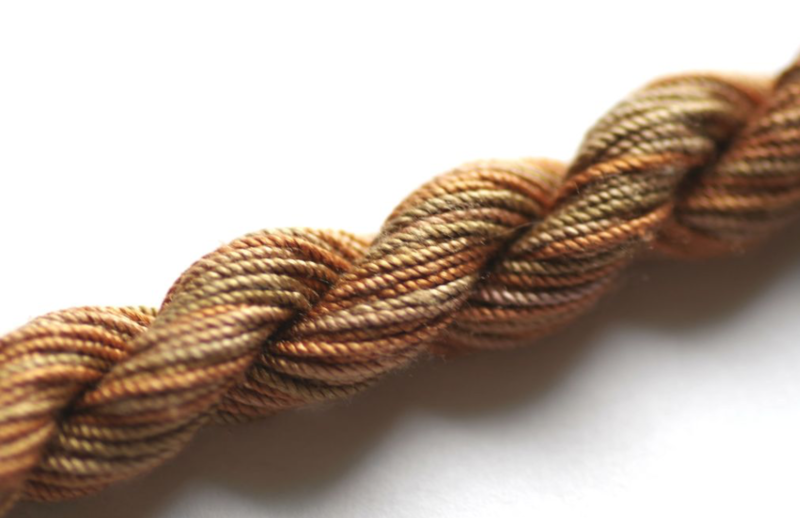 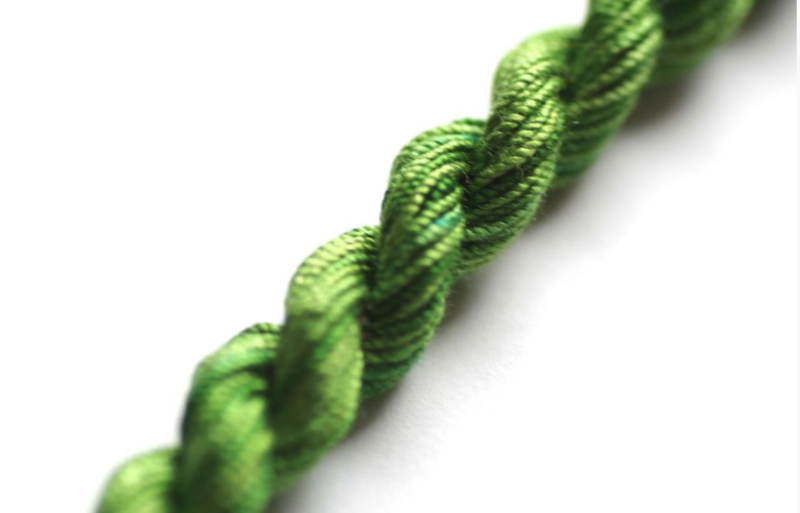 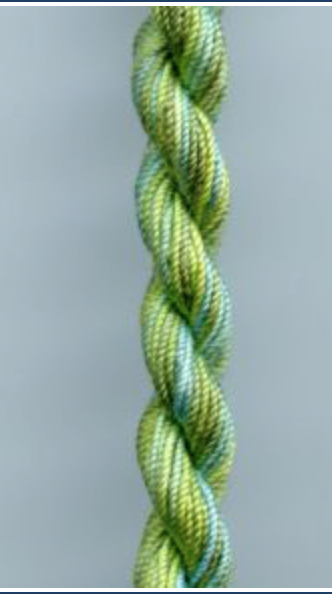 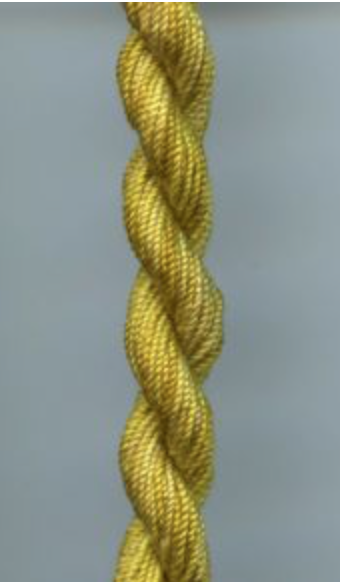 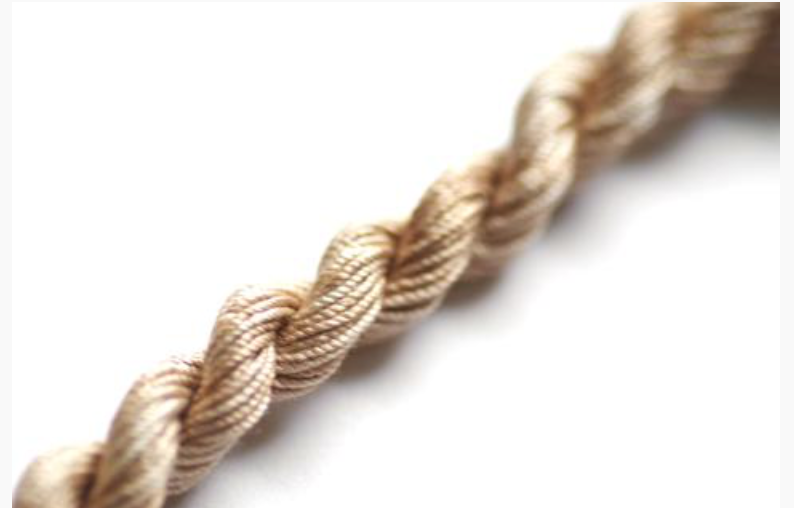 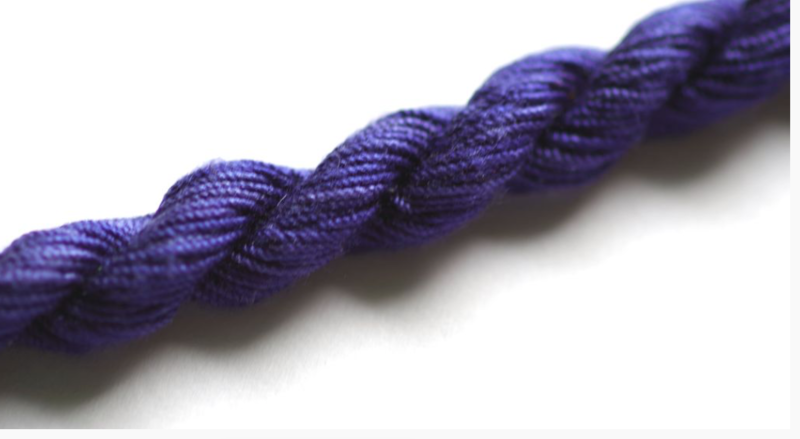 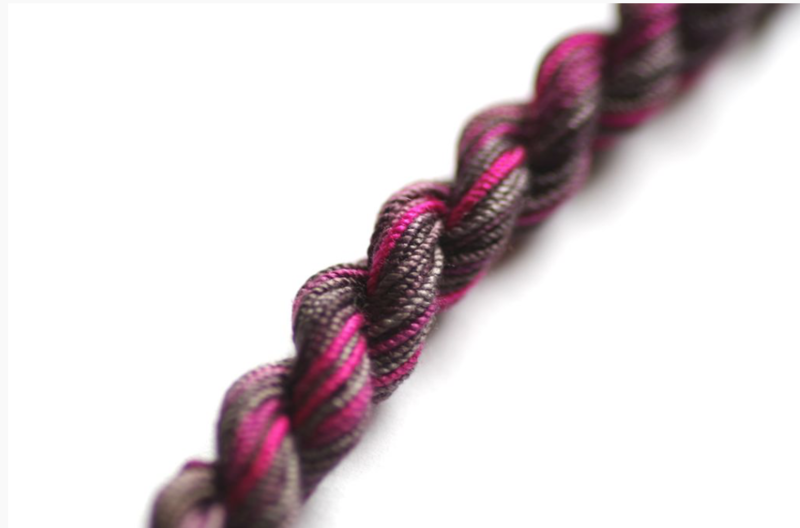 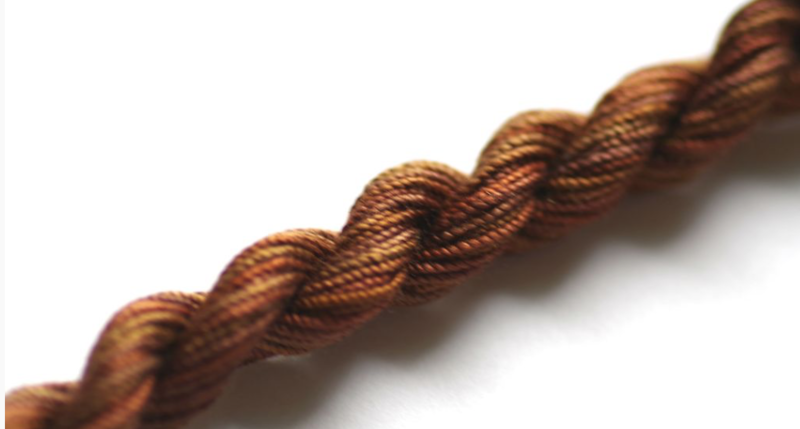 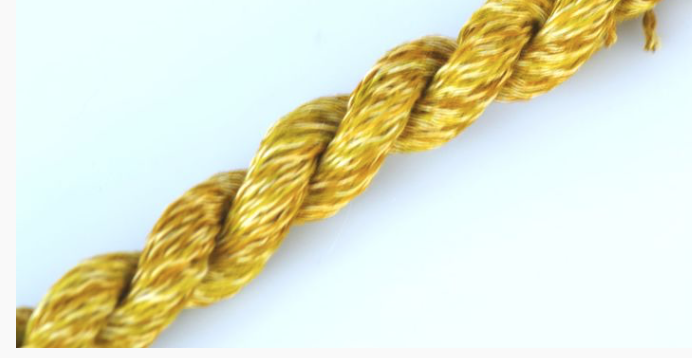 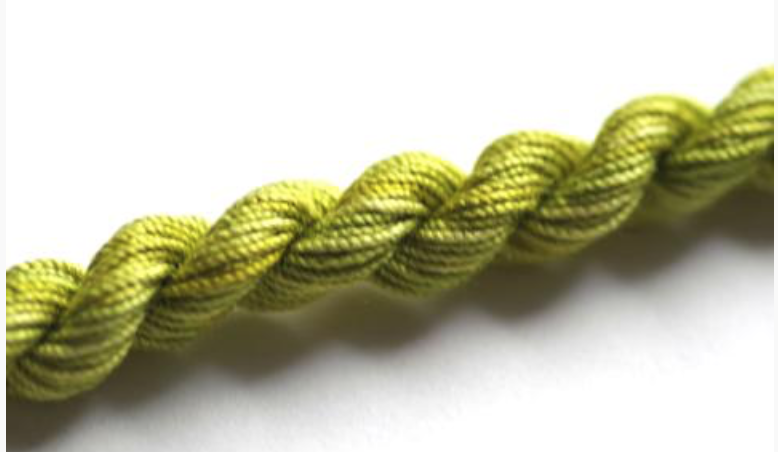 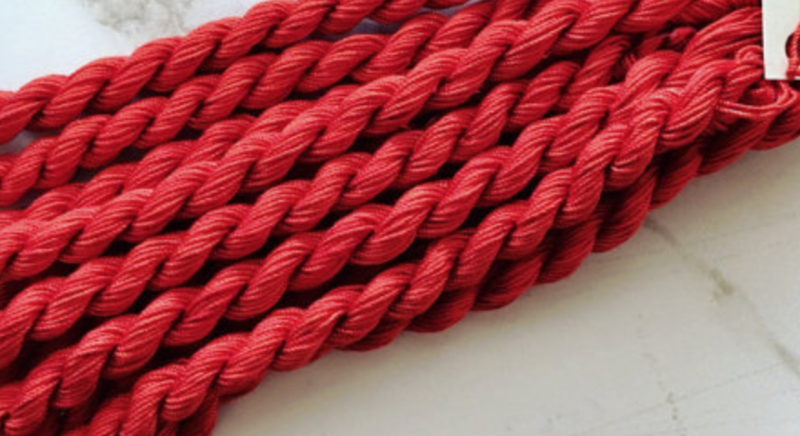 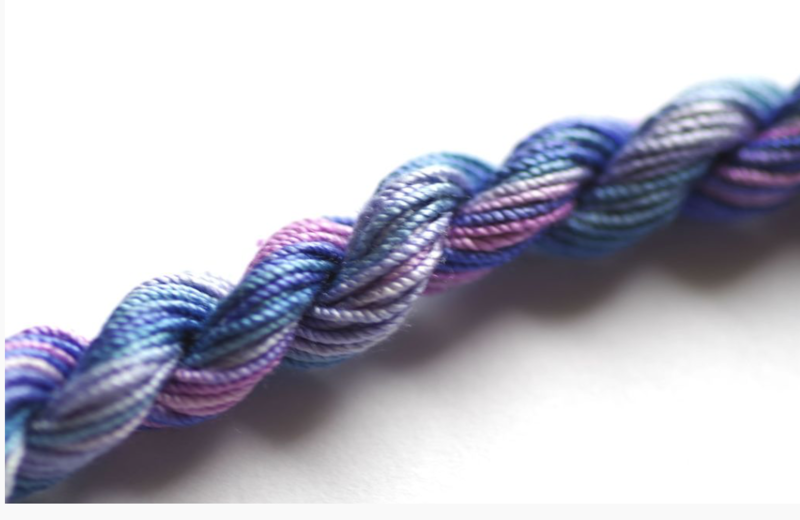 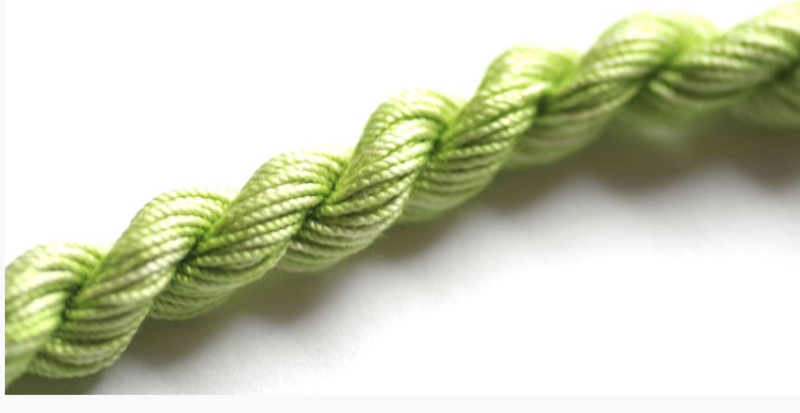 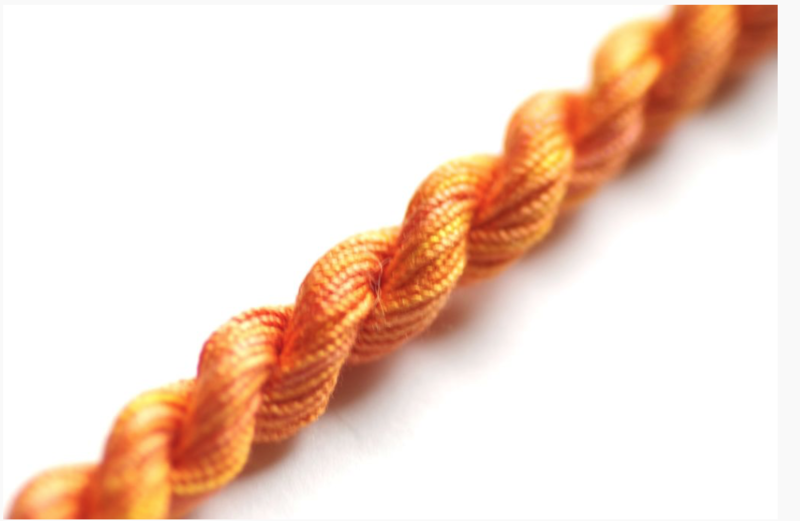 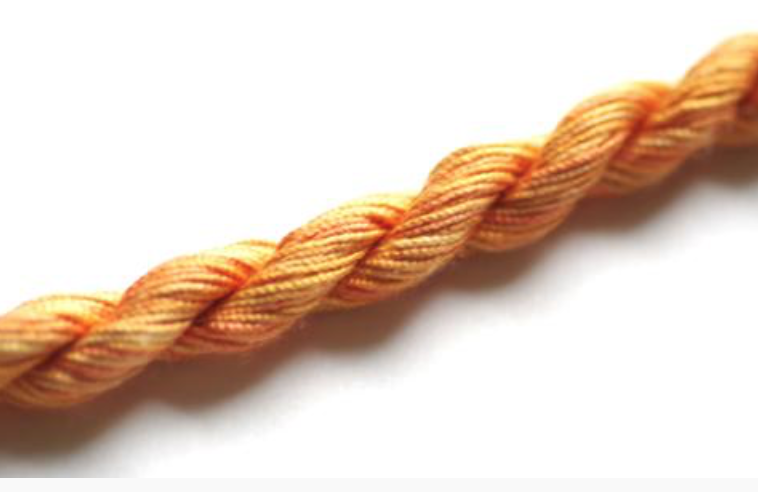 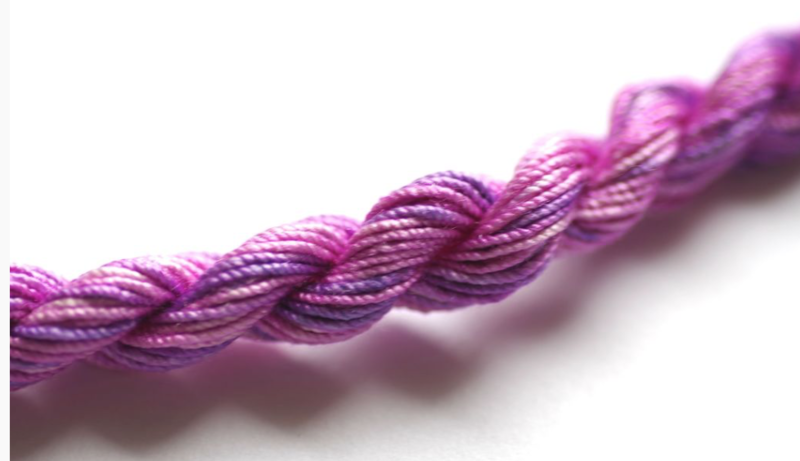 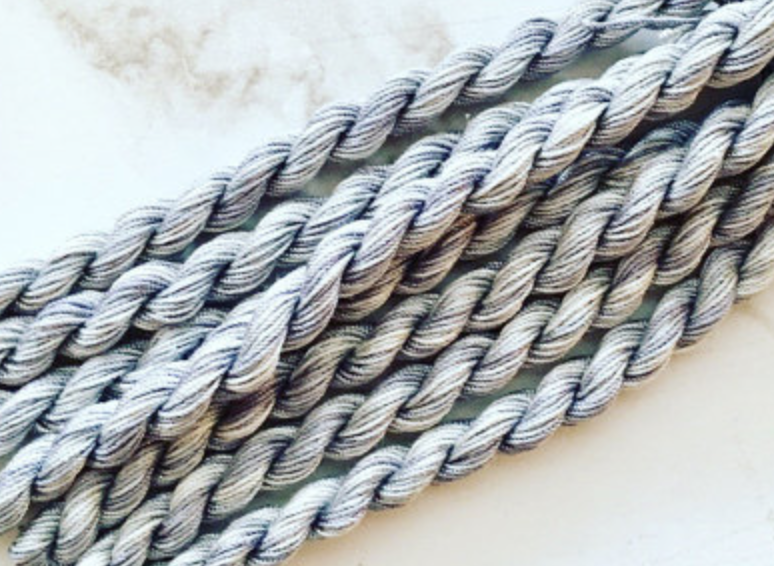 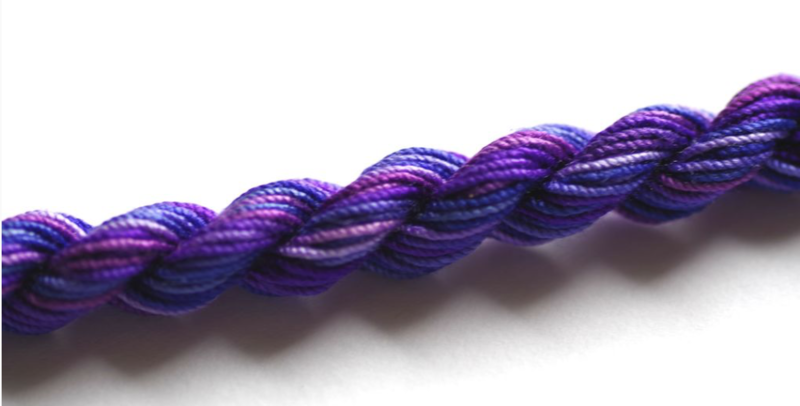 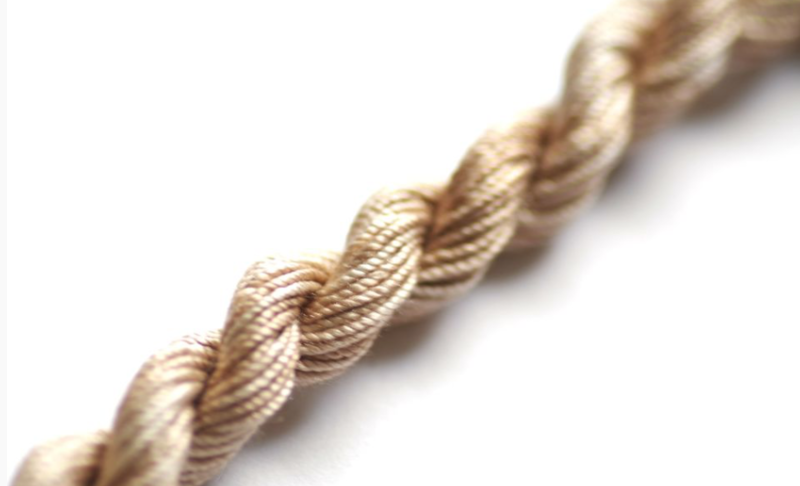 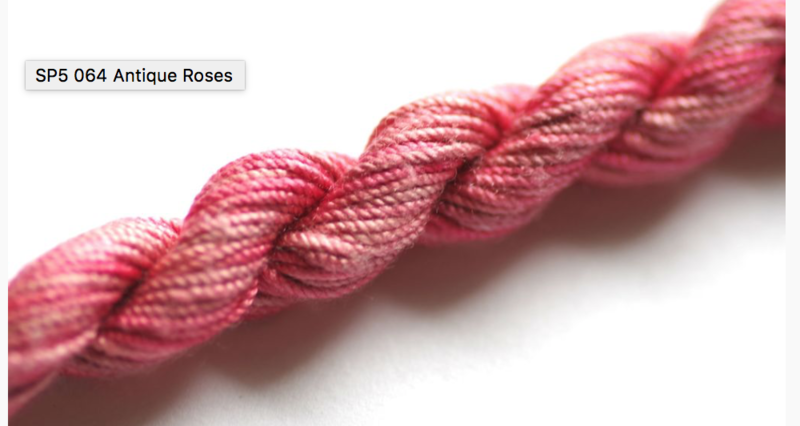 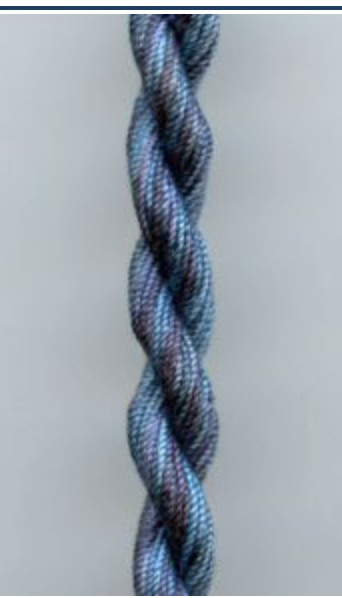 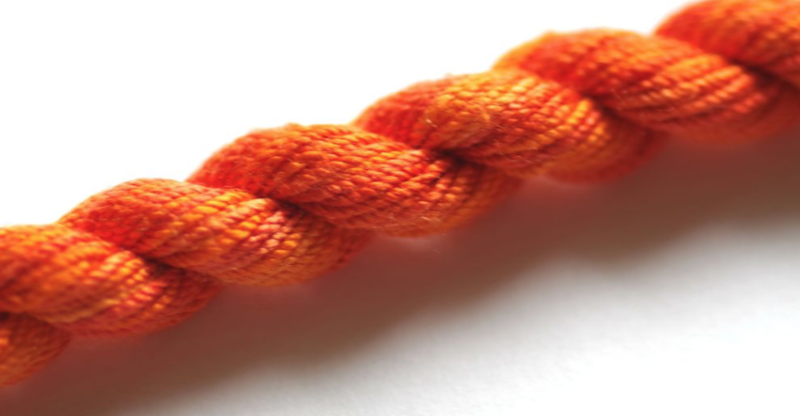 The thread Gatherer Silk Pearl is 100% cordonnet twist silk.